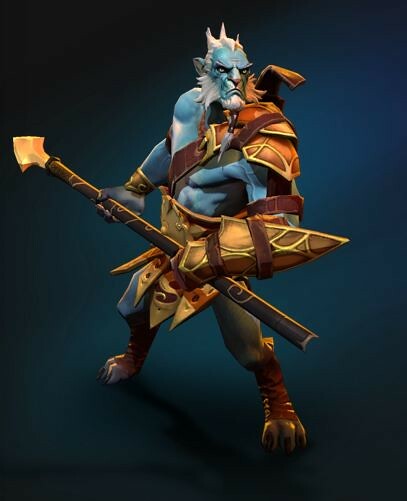 So the new Dota patch has a lot of changes and on top of the map changes, there are 2 heroes who got major revamps that will drastically impact the way you play them. 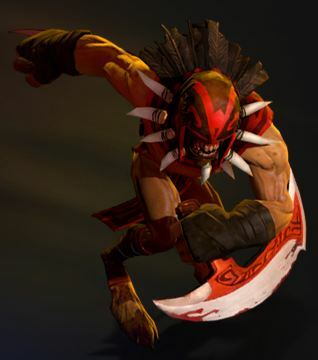 They are Bloodseeker and Phantom Lancer. I'll quickly go through both of the changes and put my thoughts on how this impacts the gameplay. Nothing major here. It’s only normal to remove new or reworked heroes from Captain’s mode. This new bloodrage has potential to be awesome. It used to be that the old bloodrage would increase your base damage, but this one includes ALL damage dealt which would include like say Lion’s finger or death prophet ulti. This is a double-edged sword though since it makes the hero super vulnerable as well. The unit also gains the ability to bloodbath so you can heal a little bit after killing. The silence and damage per time removal is a welcome change since that should not be how BS kills. 3 seconds is a long time to hit this spell, but Bloodseeker has the ability to stop people from their tracks anyway c/o Rupture. It’s a huge pure damage nuke that also silences. The 30% instead of 50% makes more sense. Now people can farm creep camps in peace without worrying that they'll give away their position. That thirst debuff notification will help me from keeping on doing my math while playing. The movement speed bonus scaling makes more sense now. The weaker the enemy is, the faster BS runs. Supports rejoice! You’ll actually have time to use your TPs against Bloodseeker before you get hacked. The increased duration to 12 seconds is huge as well. Overall I think BS will now be more useful in team engagements rather than just be a 1v1 hero and wait for pickoffs. The removal of thirst will mean that BS will now need regen items but this is a minor setback compared to what he got in return. Again, the removal from Captain’s mode isn’t anything new. The Agi gain reduction is a huge difference though. It means that PL will need to farm his attack speed and damage items that much harder. What this means is if the skill is not on cooldown, when you right click an enemy, PL gains a speed boost to enable you to quickly chase after them and hit them. You need to make sure you don’t re-click a different target though or the buff is removed. It’s not clear what the movement bonus is though, but it enables your illusions to quickly chase after heroes to make sure you hit them with your diffusal blade. PL no longer is able to turn invisible, instead, this skill (which can disjoint spells) will now cause 3 of you to appear. One takes the normal illusion damage % and the other takes the normal hero % damage. So this makes the opponent have a 33% chance of hitting the right target. Even if they cast an AOE, they still need to pick between 2 targets that took the same damage. This is an interesting skill but makes PL a bit easier to kill rather than always needing true sight to catch the real one. 4 second illusions makes me so sad. This is a huge debuff and takes away much of PL’s pushing power. It’s for the best maybe to encourage more team fighting instead of split pushing. Overall I think PL got a huge nerf. His escape mechanism is still ok since it’s only 50 mana at all levels, but his late game is less than reassured even with excellent farm.